As of July 1, 2018, all fire extinguishers will be removed from adult living facilities, assisted living dwellings, and nursing homes. Although there may be risk of fire and danger to residents and staff, it is not the job of staff to extinguish fires or keep even the smallest of fires at bay – that is the job of firefighters who will be summoned by a 911 call, as it is unreasonable that staffers should stop what they are doing to sequester or assist burning victims. If defibrillators are accessible, they will be removed from quick access to any personnel that are paid to watch over the residents, as saving lives in emergency situations is not part of their job description. Wait, but aren’t there Good Samaritans in these facilities who might care? Well maybe, but it doesn’t matter- policy is policy, and we don’t want to risk liability. Heart attacks and fires are preferred over safety, do-gooders, and random acts of kindness. It’s just easier, less liability, and less to think about. After all, these residents that rely on us are pretty much hanging out here ‘til they die anyway. As I sit here typing this post, it’s difficult to push through with even a hint of sardonicism. The risk for accidental opioid overdose to residents and staffers within the long-term living facility examples listed above is real, and likely supersedes the general population. Long term care facilities have no regulation in any states that require access to naloxone for known or suspected opioid overdose that could cause respiratory depression or death. It’s okay for LPNs and/or and various professional staff to administer large doses of opioids combined with benzodiazepines, muscle relaxants and other sedating medications, including wine, but if someone overdoses, it’s just too bad. The general policy within these institutions is don’t ask don’t tell! In New York State for example, I’m told it is not permissible to leave naloxone at the resident’s bedside, even if there is a prescription order for it, even if the resident may be at high risk of opioid-induced respiratory depression, and even if there is high risk for sequelae such as brain death requiring transfer from assisted living to a full-blown nursing home – do not collect $200, do not pass go! Did you know that if someone stops breathing from an opioid, you have 4-minutes until the brain loses oxygen (hypoxia), that the average ambulance response time is 9-minutes, and each minute lost may prevent reversal before hypoxia sets in and causes brain cell death – the result of which is a swift move from adult living to nursing home? You might be asking, “Why is Fudin writing this post?” Good question! Recently I saw a patient who has been a long-term resident at an assisted living facility. She was essentially medically stable, but like many residents, perhaps most of those residents, requires numerous medications for multiple medical problems, including opioids, and is therefore at elevated risk of opioid-induced respiratory depression. Because of this risk, it seemed reasonable for me to order the equivalent of naloxone for in-home use, but in this case, “in-facility use”. For patients living at home with a significant other, professional medical organizations and various federal agencies advocate for dual prescribing of in-home naloxone and opioids in case of known or suspected opioid overdose, as it is well-documented that most accidental overdose deaths in patients prescribed opioids happens in the home with a significant other present. It seems reasonable then, that if the “caregiver” is in a controlled environment with staffers and a mostly elderly population, but nevertheless a functional community, that naloxone should be available for staffers, or maybe even residents, to administer in case of an unfortunate incident. In states with Good Samaritan laws (which includes most states), anybody administering naloxone to save a life should be shielded from liability whether it’s on a street corner or a supermarket. I would think that for all the money spent by families and tax-payers to support these facilities and the care of their loved ones, at the very least, professional staff should be trained to recognize a suspected opioid overdose and act quickly to administer intranasal naloxone prior to calling 911. Instead, I was recently told by management at a local facility that it is not the job of staff to recognize an opioid overdose, and that if my patient wasn’t medically stable, it is grounds for immediate dismissal from the facility. And, if I didn’t personally provide a note that stated the patient was medically stable, the resident would be given a 30-day notice to leave. WOW! The fact is, anybody, medically stable or not, can die from an unanticipated opioid overdose. This could occur because of a drug interaction with newly prescribed medication, a medication error, a developing infection, unanticipated decreased kidney function, unanticipated or undiagnosed sleep apnea or all of the above, and more. Just because these folks are in a controlled environment, they should not be shielded from humanitarian responsibilities. In fact, it’s just the opposite. Since they are all regulated by government, they should be required to rise to a higher standard and to be trained for such an incident. If staffers can administer the drugs that can help pain or kill a person, they should be able, and required, to reverse the drug in case of an accidental emergency. 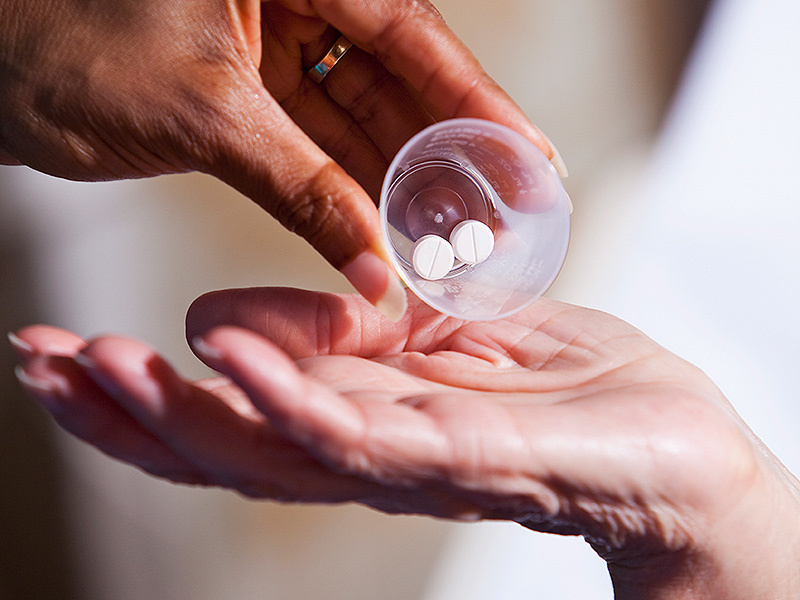 Consider that drug theft, including opioids is very high in nursing homes and long-term facilities, and that risk for drug use and illicit sales has been exposed frequently in connection to such facilities. A simple Google search of “nursing home drug theft” should convince you. These facilities are easy targets because residents receive multiple medications that pass through multiple staffer’s hands before they get to the patient, and it is relatively easy to substitute the real intended drug with a Tyenlol or something else, especially if the resident has dementia or vision impairment. So apart from risks for accidental resident overdose, there could be an elevated risk of opioid overdose death among staffers or visitors. In the real case presented here, I spoke to several administrators at the NYS Health Department and all agreed that this should be addressed on a more global level but that it was not grounds for dismissal from the facility, and that a threat of dismissal is unfounded and unprofessional. In fact, I believe that if we followed a policy to dismiss such residents, many, if not most residents would need to leave. As a whole, all residents receiving chronic or even intermittent opioid therapy, especially if on other sedating agents are at risk of opioid-induced respiratory depression; the difference here is that I actually informed the facility that this risk exists, and they clearly didn’t like it! State and federal governments should take a more proactive approach to require training for all staff, much as they do for fire and safety. State after state has been enacting new legislation around naloxone distribution, access, and Good Samaritan Laws, yet they all remain ambivalent to the long-term care facility environments that they can more easily control compared to the general public – it just makes no sense that we haven’t been proactive with such legislation. As always, comments are encouraged and welcome, especially if you know someone that’s in this such a living situation! I just don’t understand the powers that be in America today. It seems to me, the the ONLY person who should be allowed to make ANY medical decisions should be my doctor, and no one else. I strongly believe doctors should not be held responsible or be prosecuted for accidental overdose. Anyone taking opioids knows the risk they sign on for. I believe it should be considered an ACCEPTABLE risk. I take pain meds for chronic pancreatitis and I can’t get NEARLY enough to sufficiently help me because of this BS opioid epidemic. So I will spend the rest of my miserable life in bed in severe pain and there’s nothing short of suicide I can do about it. We are again in the dark ages! My mother died in pain surrounded by a pitiful and ignorant staff. Even the doctor they attended her was more concerned about respiratory depression than the fact that she was terminally ill and anguishing in pain thrashing about in her bed! I wasn’t certain of they were diverting her meds our just plain stupid but after my long tally with her doctor her changed her orders and she went into a medically induced coma. She was 4th staging. Pancreatic cancer. I was relieved as well as the rest of the family to see her resting. A few hours later she expired and I imagine the pain meds helped. Pure insanity! I’m beginning to think its a new requirement for living and working in the United States..